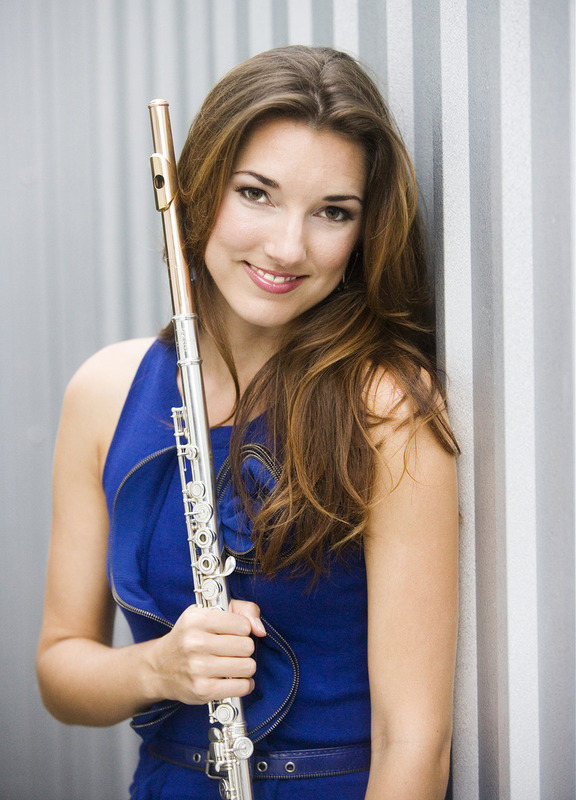 Mercedes Smith is Principal Flutist of the Utah Symphony. A Texas native, she served as Principal Flutist of the Houston Grand Opera and Houston Ballet Orchestras for nearly a decade. She has performed with the San Diego Symphony, Houston Symphony, and served as Principal Flutist of the Pacific Symphony during the 2010-2011 season. Awarded First Prize in the National Flute Association’s 2010 Young Artist Competition, Ms. Smith was also the Second Prize winner of the 2007 Haynes International Flute Competition and top prizewinner of the Manhattan School of Music Concerto Competition. As First Prizewinner of Artists International, she gave her New York Recital Debut in Weill Hall at Carnegie Hall in 2002. Her debut featured solo and chamber works all by American composers including three world premieres. Also as a recitalist, Ms. Smith performed at the Kunming International Arts Festival, China, in a performance that was televised throughout Asia. Most recently she was featured as soloist and chamber musician at the Festival Internacional de Musica de Camara in Zacatecas, Mexico. Ms. Smith performed at the Hot Springs Music Festival for three years and was featured in the nationally televised PBS documentary "Sound of Dreams" highlighting the festival. In previous summers, she has been a fellowship recipient at Tanglewood, Music Academy of the West, and was a member of the UBS Verbier Festival Orchestra in Switzerland. As a chamber musician, she has performed at the Marlboro Music Festival, Bargemusic, Da Camera of Houston, Musiqa Houston, NOVA, and the Intermezzo Chamber Music Series. Ms. Smith was accepted as a scholarship student at the Manhattan School of Music at the age of 16 and is greatly indebted to her teachers Michael Parloff, Jeanne Baxtresser, and Dr. Ronda Mains.